Emanuel & Svetlana are natives of Bulgaria and live in Sofia, the capital city. They are both fourth generations Protestant Christians and came to know Christ personally as teenagers. They were active in the church's youth and music ministry. Intense persecution including a short time of imprisonment forced Emanuel to flee the country and look for a refuge in the USA. After the fall of communism God providentially brought Emanuel back to Bulgaria as an ordained minister in the Bulgarian Evangelical Church . Emanuel & Svetlana are full time missionaries with Presbyterian Evangelistic Fellowship. Their vision is: To train pastors and lay leaders To plant new churches To teach Reformed doctrine Emanuel & Svetlana's ministry goals are to: 1. Establish Bulgarian Christians with the Reformed teaching and assist the churches with theological training for pastors and lay leaders. They do this through weekly home Bible studies and teaching seminars throughout the year. They also work in conjunction with the MTW team in Sofia. 2. Expand a church-planting ministry in city of Panagyurishte and the surrounding villages. 3. Visit, advise, and encourage young ministers and their family serving churches within the Bulgarian Evangelical Church . 4. Continue their family involvement in the music ministry of the church, using it as a tool for the encouragement of individual Christians and whole churches in their faith. They also use this ministry to reach the lost with the Gospel of Christ. Praise God for: Many open doors for the Gospel in Bulgaria. New churches that have been planted since the fall of Communism. 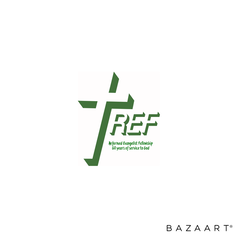 A new generation of ministers fully committed to the reformed faith. The Reformed Center of Theological Education in Bulgaria, opened in 2011. Pray to God for: Strength to be faithful to the Lord in ministry Encouragement to be bold and passionate for the Lord Support to continue our ministry in Bulgaria Support Needs: Our budget lacks $350 a month. Would you prayerfully consider supporting our ministry and partnering with us in making disciples of the nations.